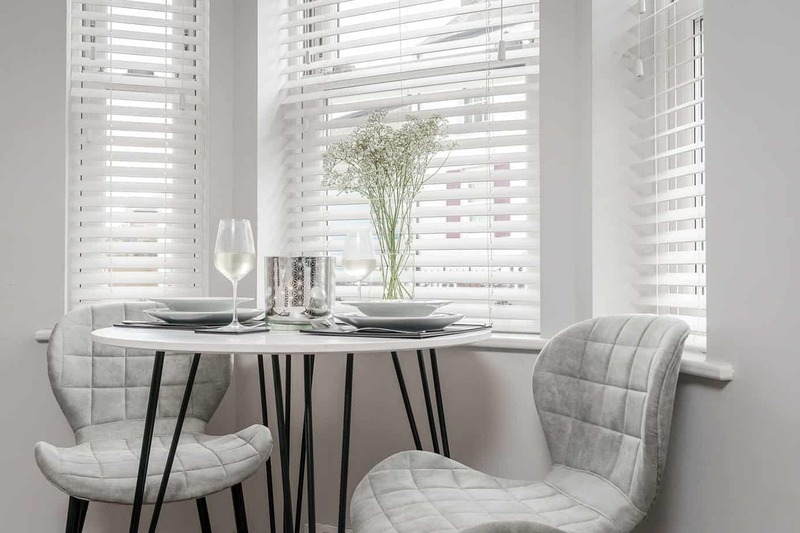 Are the latest addition to the Tailored Stays collection. 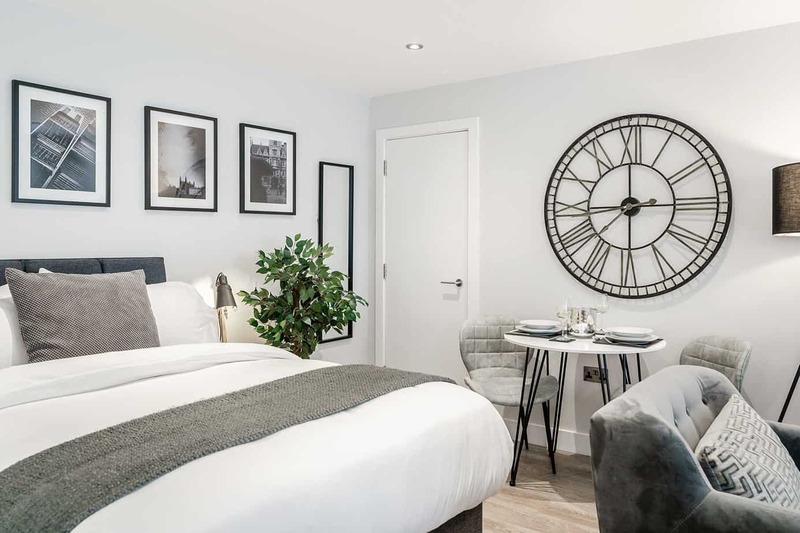 These newly built, city centre studio apartments offer smart city living, indulgent furnishings and thoughtful details. 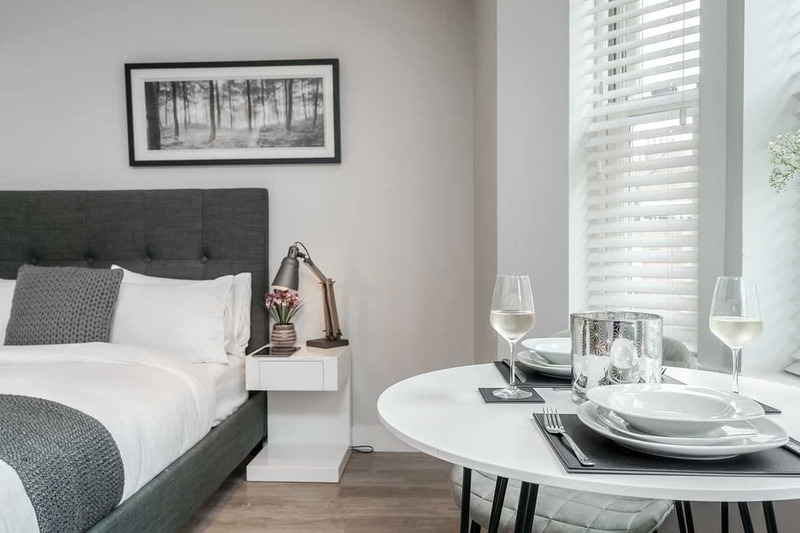 Victoria Road delivers unrivalled serviced accommodation combined with the renowned Tailored Stays touch. 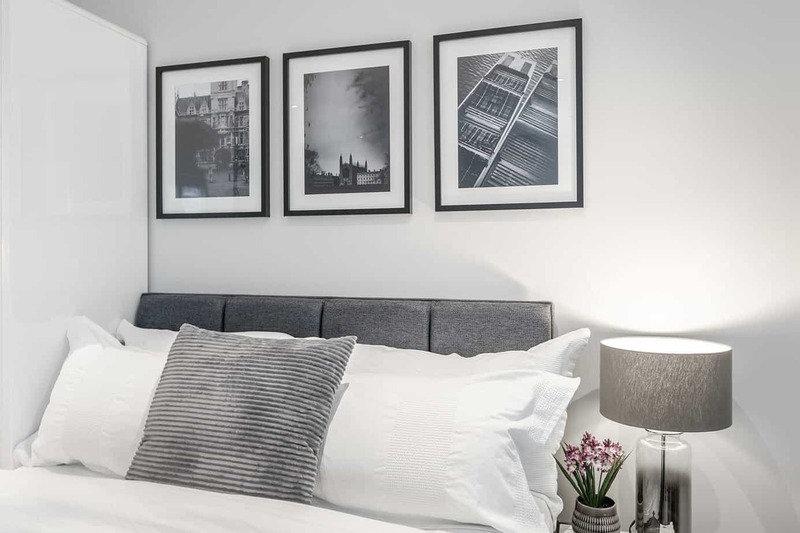 Victoria Road is our exclusive development of luxury studio serviced apartments, which offers a prime location in a city, that is not only known for its heritage, culture and even its shopping, but also, proximity to London. 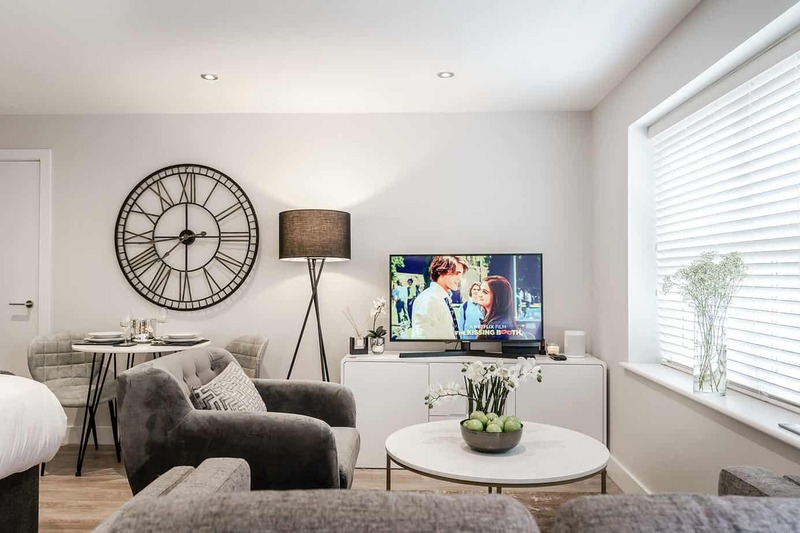 The interior has been thoughtfully designed creating a comfortable, stylish and inspiring living space. 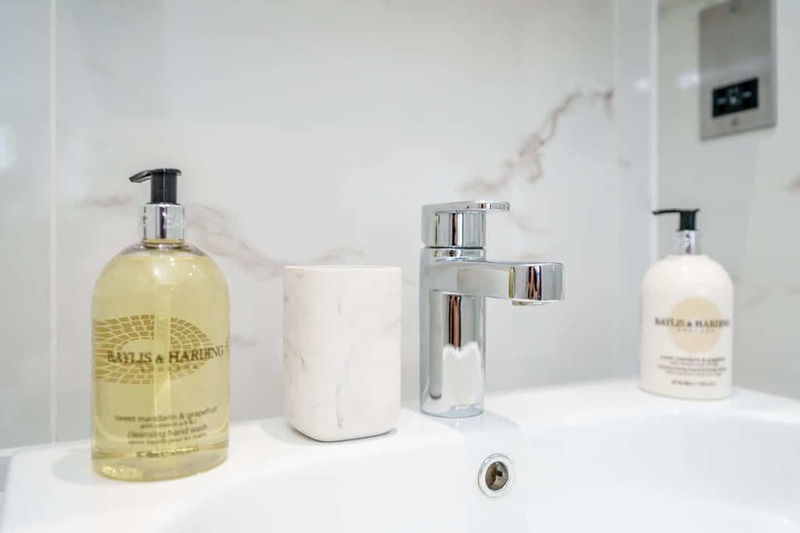 Each detail has been included with the sole intention of maximising guest experience, which is why we include finishing touches such as complimentary slippers and welcome hampers as standard. 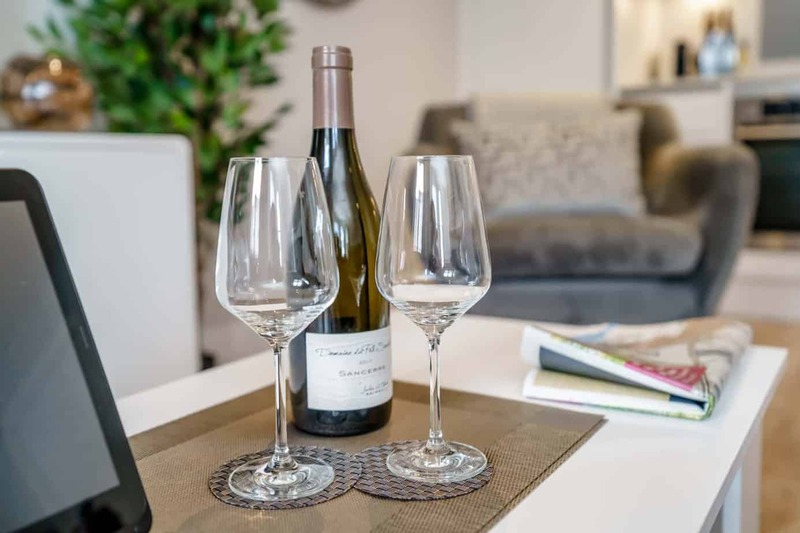 The décor delivers a welcoming haven from the bustle of the city, with mood lighting, high-end soft furnishings, underfloor heating and state of the art amenities, including built in washer and dryer, iron and ironing board, and premium kitchenware. 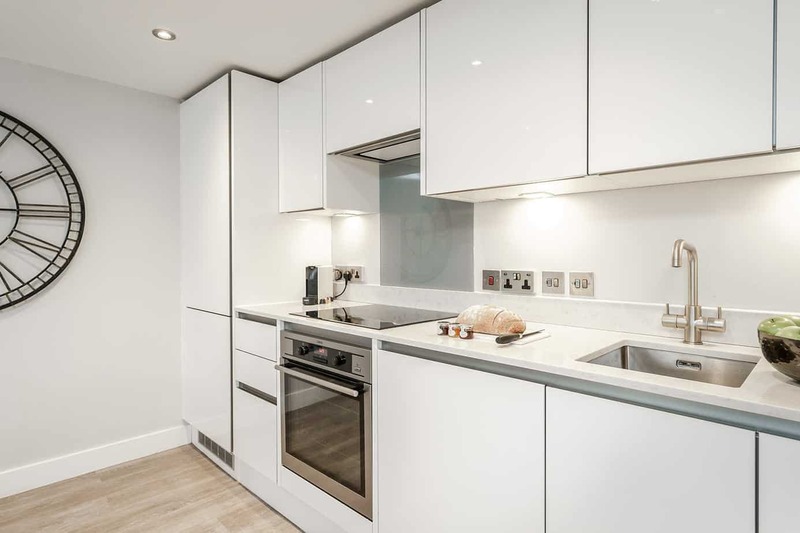 Why not live like a local and whip up a home-made meal using fresh ingredients from the local shops and delicatessens a short walk away? 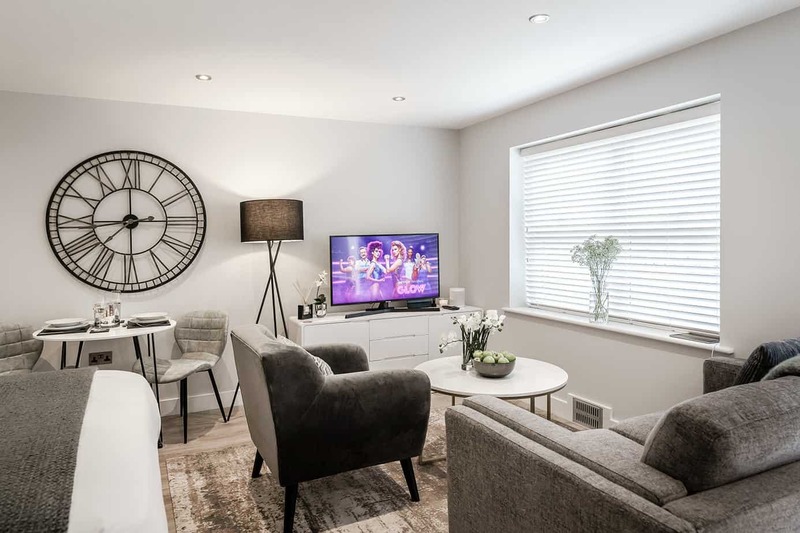 Tailored Stays prides itself on creating an environment to help you relax and unwind which is why we provide fibre optic broadband enabling you to browse the web on our apartment iPad’s. 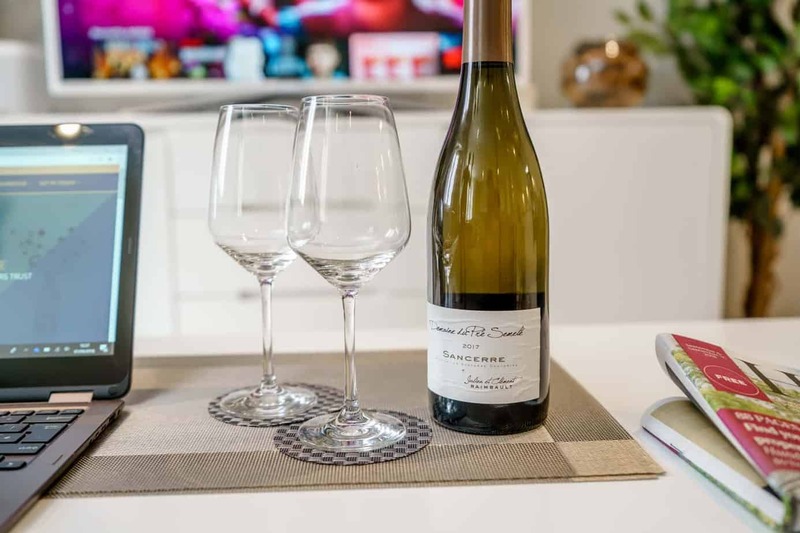 Or listen to the Sonos Sound system with installed Spotify and a world of music at your fingertips, and in addition make use of our 43” Smart TV with complimentary Netflix. 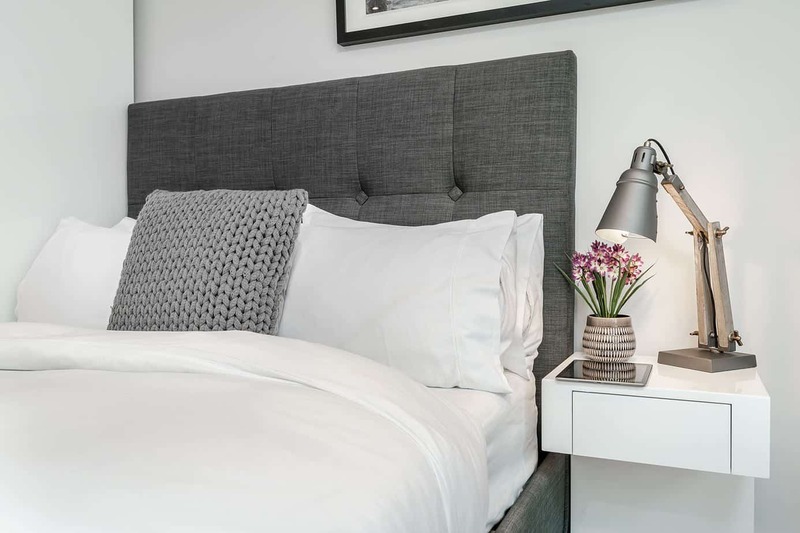 After a long day settle down and enjoy a peaceful night’s sleep, with 300 thread count Egyptian cotton bedding, duck down pillows and eye masks. 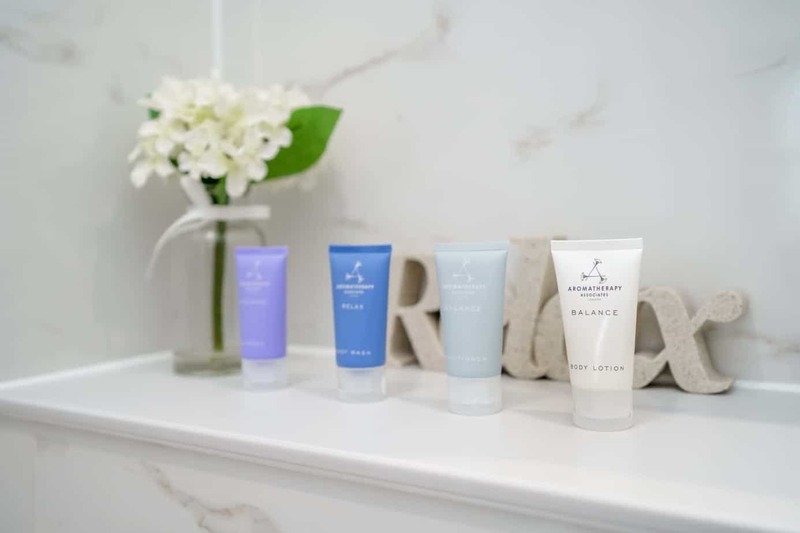 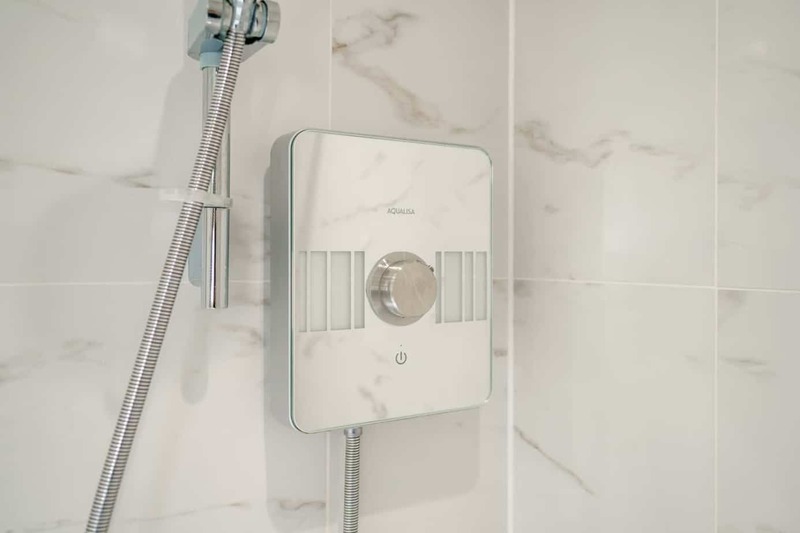 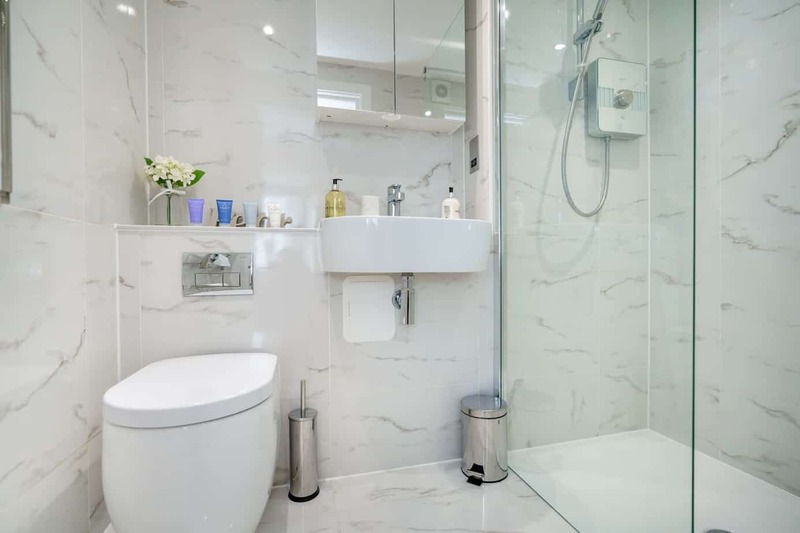 And wake up to the walk-in power shower provided in the separate shower room, finished with a marble effect, and boasts underfloor heating, heated towel rail and Aromatherapy Associates toiletries. 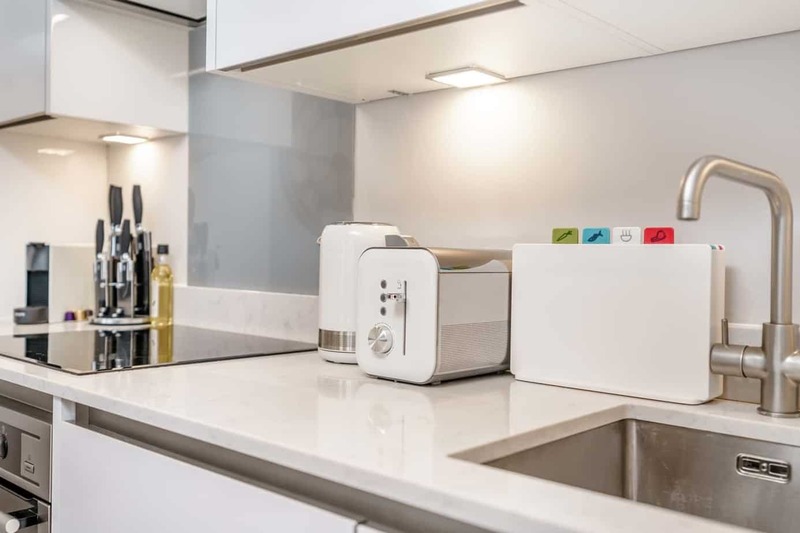 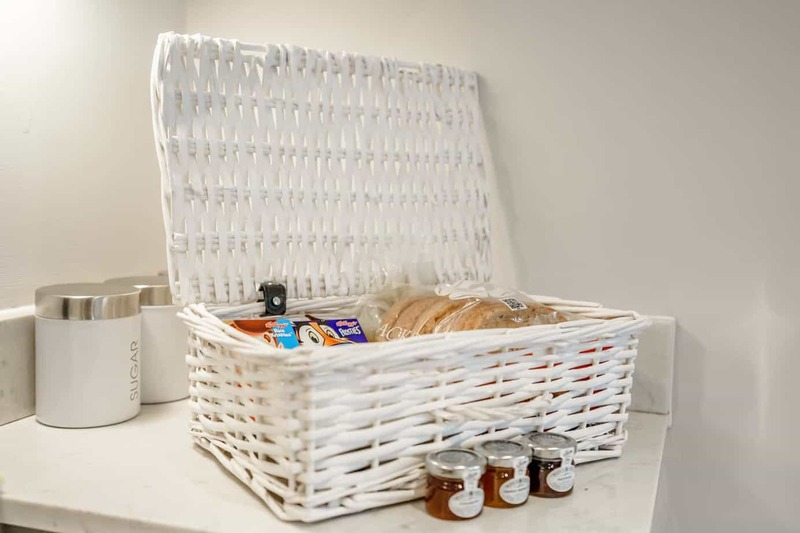 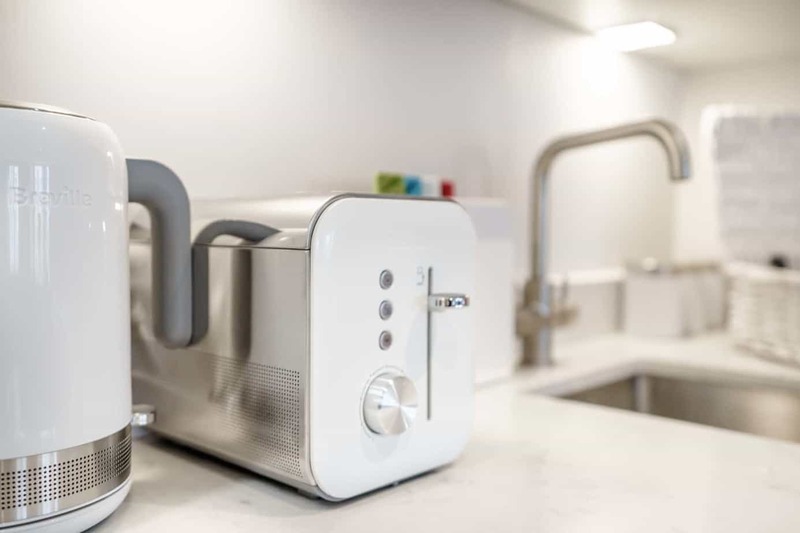 And don’t worry about breakfast, it’s already taken care of, just help yourself to the Nespresso coffee machine with complimentary coffee pods and make use of your welcome hamper filled with bread, milk, eggs, butter, fresh juice and a few extra treats. 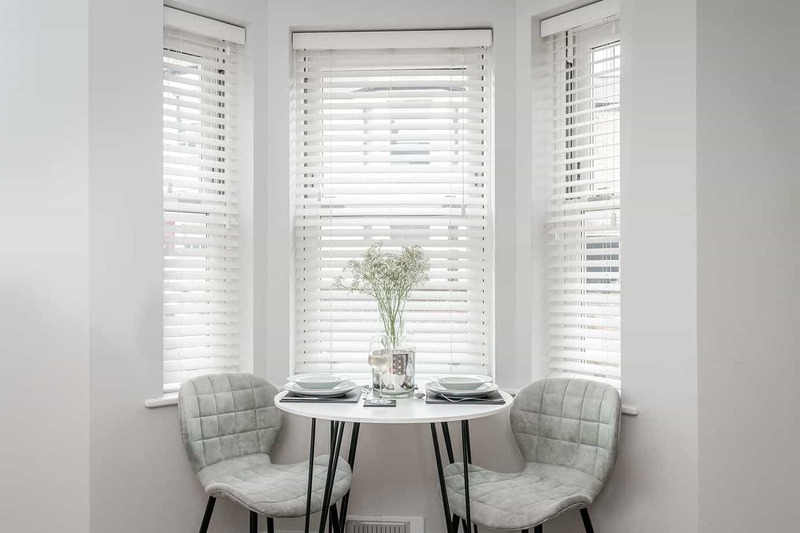 Discover Cambridge with Tailored Stays and experience Victoria Road for yourself.  Tailored Stays is proud to have been voted the highest rated serviced apartments provider in Cambridge for 2017, so get in touch to see how we can exceed your expectations. 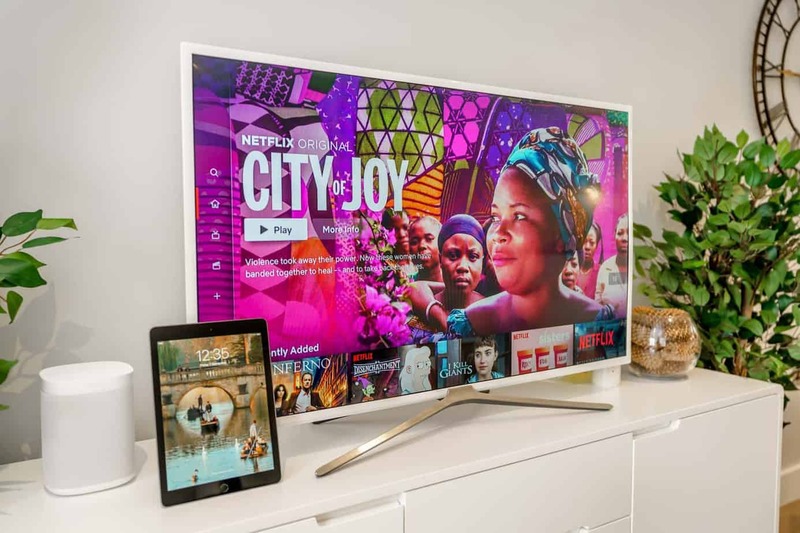 "thoughtfully designed creating a comfortable, stylish and inspiring living space"
The apartment offers a 43 inch smart TV with complimentary Netflix and use of iPad. 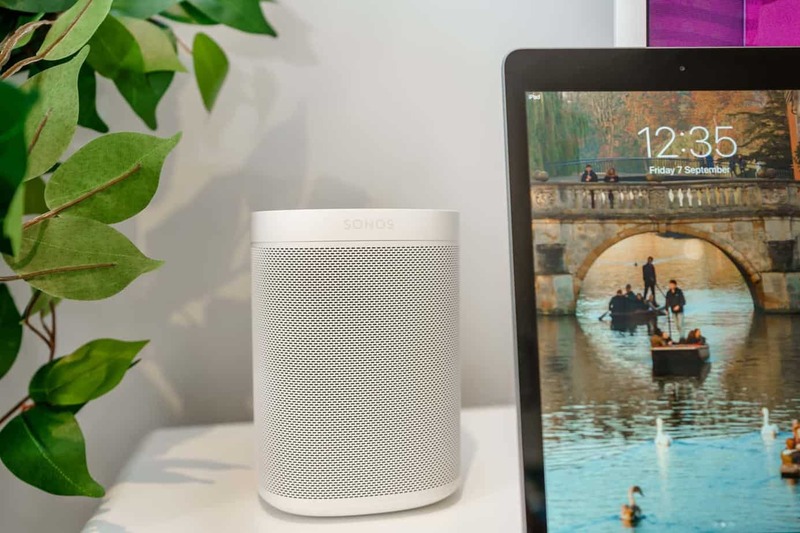 Enjoy the Sonos sound system with built in Alexa. 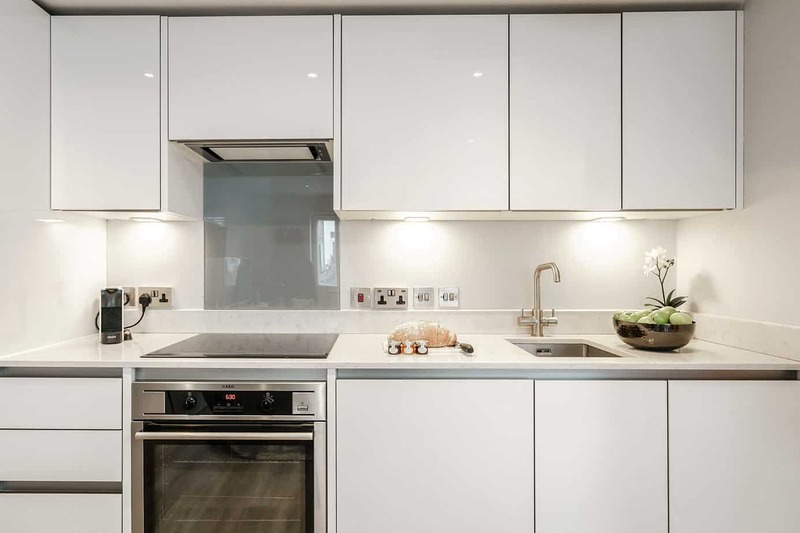 The essentials are taken care of – right down to the biscuits! 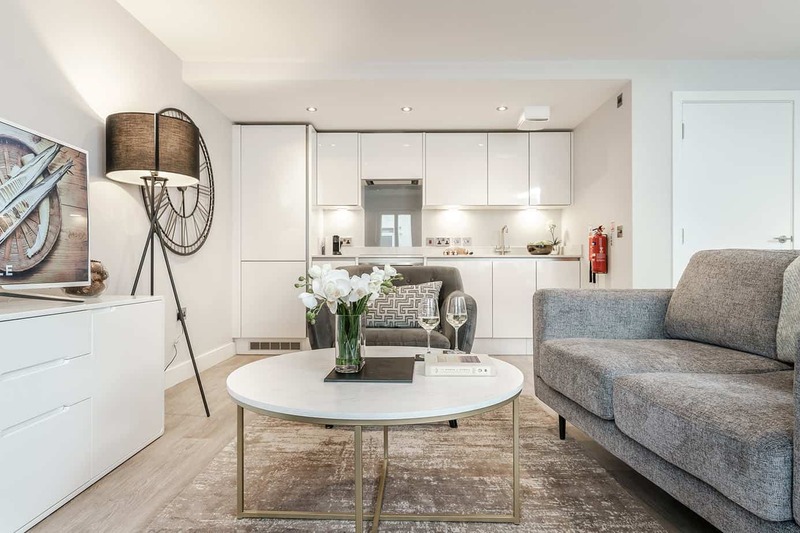 The apartment is thoughtfully laid out maximising the space. 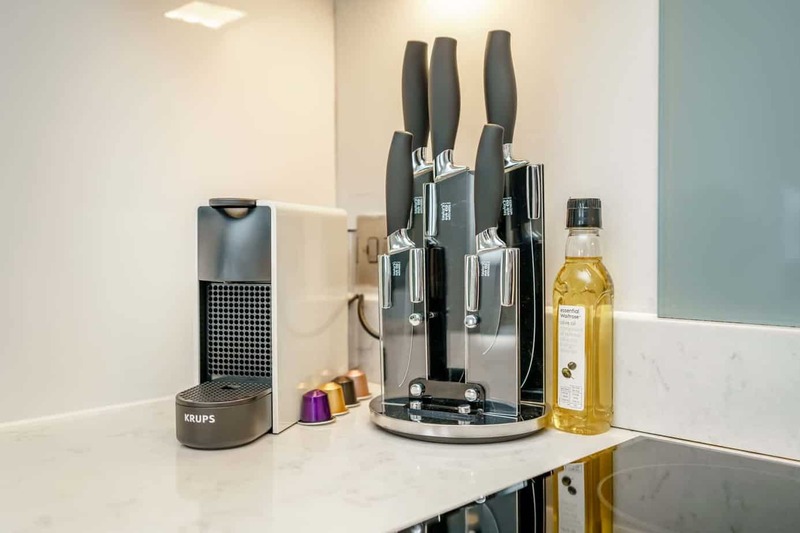 "don’t worry about breakfast, it’s already taken care of, just help yourself to the Nespresso coffee machine with complimentary coffee pods and make use of your welcome hamper filled with bread, milk, eggs, butter, fresh juice and a few extra treats"
"After a long day settle down and enjoy a peaceful night’s sleep, with 300 thread count Egyptian cotton bedding, duck down pillows and eye masks.."
INTERESTED IN EXPERIENCING VICTORIA ROAD ?